These are books that we have found to be useful. Your local bookshop should be able to obtain any of them through their usual suppliers. We also have some of these books available for sale. This is the latest book in the Target Ladder series. The aim of the Target Ladder series of books is to focus on what the child can do in order to identify the next steps. It supports the ‘Assess, Plan, Review, Do’ cycle, which is good practice in many schools and should help narrow the gap between pupils with coordination difficulties and their peers. 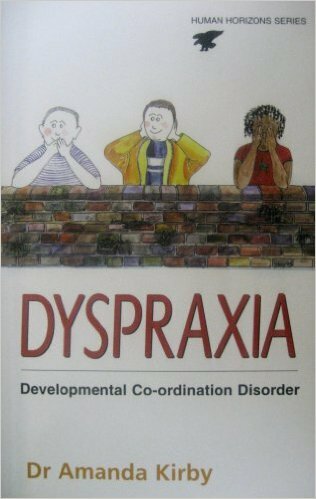 Built upon the good practice for which the Dyscovery Centre has become so well known, this book takes a broader view of the difficulties that those with Dyspraxia/DCD face. It considers whether this is a health, educational or social difficulty and discusses the wider implications for the individual and how they manage at home and in the community. This book is published by the Dyspraxia Foundation UK and is aimed as a guide for teachers and parents of children with Dyspraxia/DCD. 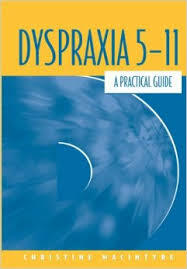 This book is published by the Dyspraxia Foundation UK and is written for teenagers and adults with Dyspraxia/DCD. It is full of tried-and-tested practical advice from others with dyspraxia on personal organisation, life at home, college and work. Life Skills includes practical information to help all who have Specific Learning Difficulties. 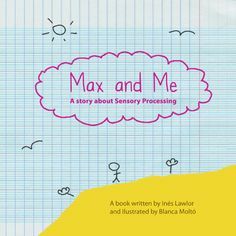 This is the first book which describes what’s happening in the brain in Sensory Processing Disorder (SPD). The overall aim of the book is to provide the reader with a better understanding of how the brain processes sensation and how this affects a child’s emotions and behaviour at home and school. 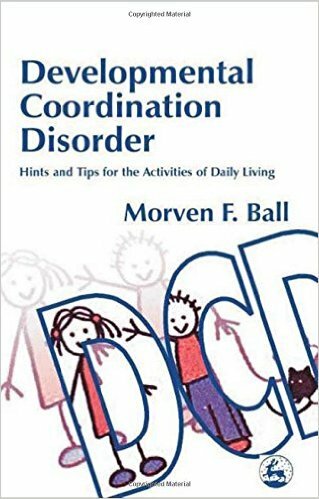 This is a highly detailed and informational book edited by one of the leading researchers into DCD. It provides a comprehensive description of the personal, social, physical, and mental health consequences associated with the neuro-developmental disorder that are commonly found in children and adolescents. 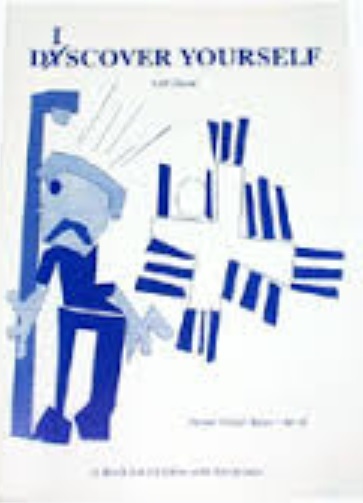 This book explains how Dyspraxia/DCD affects learning to play an instrument and offers solutions. Jean Alston and Jane Taylor. 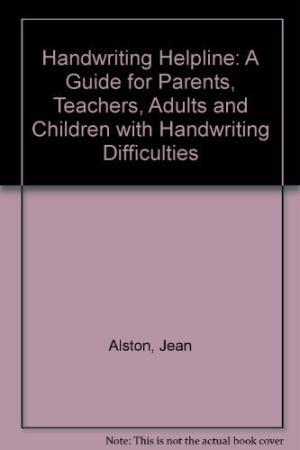 A guide for parents, teachers and children with handwriting difficulties. The activities in this well-established, highly-regarded and widely-used book can assist with a wide range of conditions, including diagnoses of Dyspraxia/DCD, Dyslexia or Attention Deficit Hyper-activity Disorder (ADHD). Following a valuable introductory background, Take Time provides a series of thoroughly tested and purposeful exercises that tackle fundamental developmental problems behind learning difficulties. 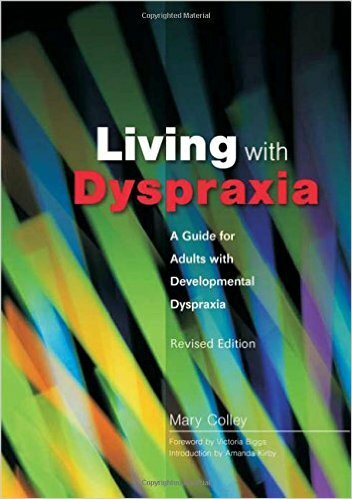 This informative and very practical book is intended to help parents and teachers equip children with dyspraxia, or developmental coordination disorder, with the strategies that will enable them to live as normal a life as possible with this hidden handicap. 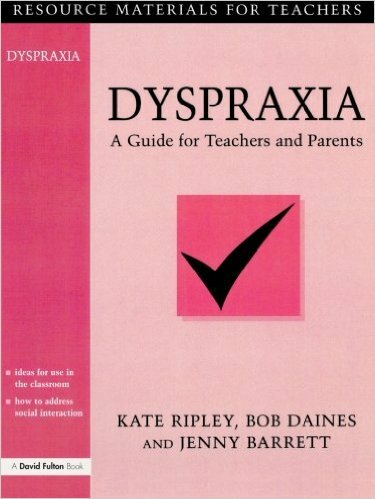 A useful reference for all therapists and teachers working with children with dyspraxia. 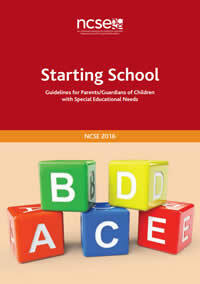 A comprehensive manual for parents and professionals. 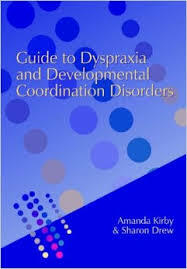 The aim of this text is to promote an understanding of Dyspraxia/DCD and movement development among professionals who work with children, and also to offer a text which is accessible to parents. It presents a cognitive processing model of Dyspraxia/DCD from a developmental perspective. 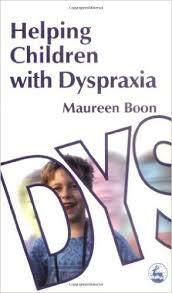 A booklet aimed at 6-10 year olds with Dyspraxia/DCD. Nichola Jones shows how to plan a whole school approach to including children with dyspraxia and developmental co-ordination disorder in this short and accessible guide. This easy-to-read booklet answers commonly asked questions about Dyspraxia/DCD and presents all the necessary information to aid parents, carers and professionals in selecting the best options for their child; sometimes correcting the little things can lead to big results. 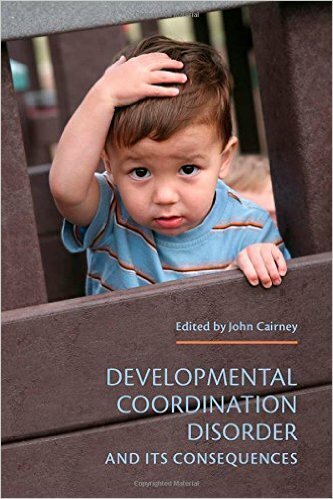 In clearly laid out chapters, the author describes the features of Developmental Coordination Disorder and provides practical solutions ranging from maintaining posture and personal care through to the more complex tasks of learning. Practical exercises to help improve the DCD child's motor and sensory skills are included, plus an extensive list of useful addresses and resources. 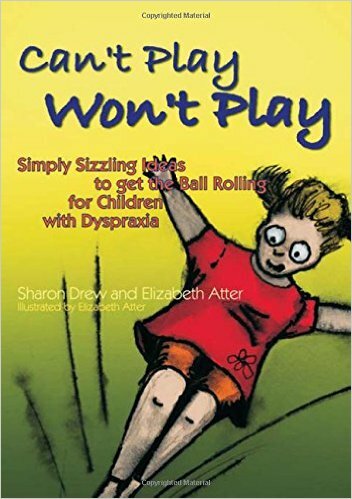 This book is full of practical information, tips and hints to enable children with DCD to access and enjoy activities that other children take for granted. From football and rugby to swimming, skipping and skating, the advice covers all the regular childhood activities as well as games to improve physical organization and social skills. In just eight weekly sessions, Speed Up! provides a multi-sensory course of help for any child aged 8-13 whose handwriting is illegible, slow or lacking in fluency. Developed by a leading paediatric occupational therapist this highly effective approach has been specifically designed for older children struggling with handwriting. Speed Up! 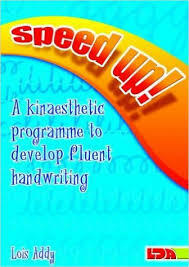 gets to the root of writing difficulties by developing kinaesthetic awareness through multi-sensory activity and exercise. 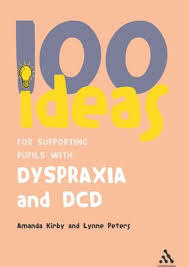 This useful, resourceful and practical guide provides those working with dyspraxic and DCD children one hundred ideas of how to support and develop their learning. The lists cover the entire school age range and range from developing fine and gross motor skills to preparing children for their next transition either to the next stage of schooling or for their future careers. 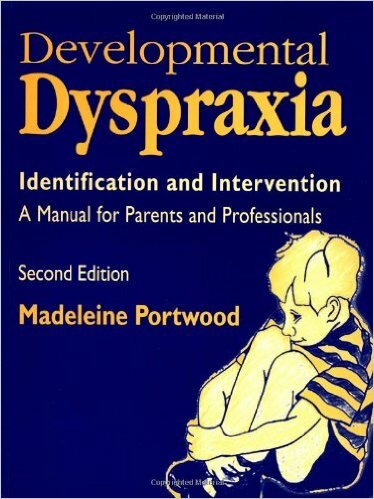 This work begins by answering the questions commonly asked by parents of children with Dyspraxia/DCD about behaviour causes, diagnosis and assessment, before going on to discuss theraputic inventions. 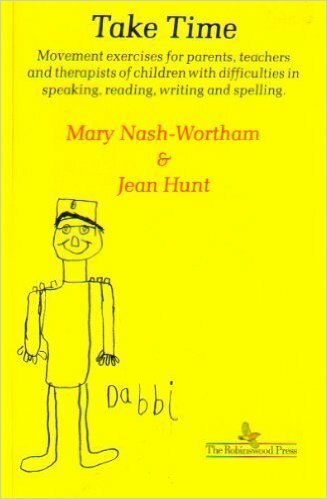 Drawing on her extensive experience working with dyspraxic children and liaising with their mainstream schools, the author shows how the theraputic approach can benefit this group and how parents and teachers can actively participate in the child's therapy. Information is provided, along with ideas for parents and teachers wanting to improve the child's movements and language abilites and thus increase their self-confidence and self-esteem. 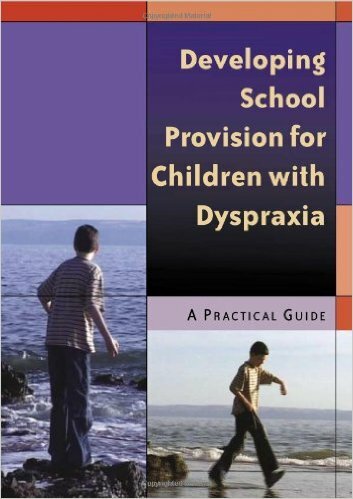 This book takes a very practical view of Dyspraxia/DCD in children aged 5 to 11 and considers ways of helping teachers and parents to understand this complex condition. The text is based on a developmental framework and areas covered include making friends, coping with the curriculum and boosting the child's self-esteem. It will provide advice and guidance on how to ensure that the most effective support is given to the child in school. 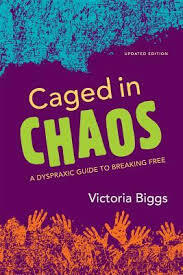 Written by a teenager with Dyspraxia, this is a humorous and inspiring practical guide for young adults with dyspraxia and those around them trying to get to grips with the physical, social and psychological chaos caused by developmental co-ordination disorders (DCDs). In her own conversational style, Victoria Biggs explains the primary effects of dyspraxia - disorganization, clumsiness and poor short-term memory - as well as other difficulties that dyspraxic teenagers encounter, such as bullying and low self-esteem. Peppered with personal stories from other teens, this award-winning book offers down-to-earth advice on a wide range of adolescent issues, from puberty, health and hygiene to family life and making friends. The new edition includes an update from the author on her university and work experiences and how dyspraxia affects her now as an adult. Her positive approach and profound empathy with others in her situation make this book a must-read. 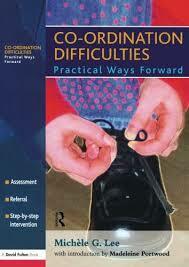 Co-ordination difficulties affect every aspect of children’s learning. 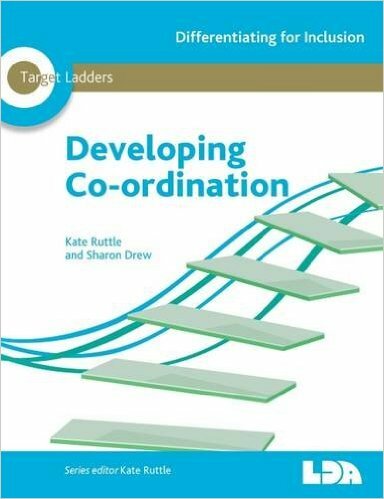 Using the action plans in this book teachers can respond immediately and effectively to pupils who are showing signs of co-ordination difficulties. Amanda Kirby, Medical Director of the Dyscovery Centre and the mother of a DCD child herself, addresses the main difficulties encountered by adolescents with DCD, including building relationships and coping with secondary school. 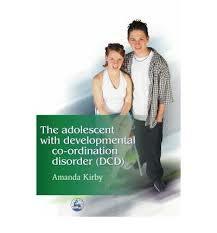 With a common sense approach she provides a series of practical ideas on how individuals can tackle these difficulties making The Adolescent with Developmental Co-ordination Disorder an essential resource for adolescents with DCD, as well as parents, teachers and health professionals. 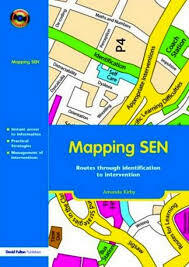 Suitable for all trainee and practising primary teachers. Providing practical guidance on enhancing learning through ICT in English this book is made up of a series of projects that supplement, augment and extend the QCA ICT scheme and provide much-needed links with Units in other subjects’ schemes of work. Students may require a variety of approaches when studying. This organisation pack contains a range of practical strategies for students of all ages, including organisation of work, organising self and possessions,frameworks for essays, how to stay on task, movement breaks and many more. Gaining organisational and time management skills is essential for all children and adults in order for them to plan, complete and finish tasks in the home, school and eventually the workplace. This skills pack offers a range of practical idea and strategies that can be worked through to start off this process. These include visual timetables, bedroom organisation, understanding time concepts, homework routines and many more. Independent living skills covers a wide range of skills necessary to copewith everyday life. These include skills such as self-care including dressing, toileting, eating and drinking. This pack offers a range of practical ideas and strategies including dressing, self care, meal times, using cutlery, bedtime routines and many more. This study has provided the first database on children with Dyspraxia/DCD in the Republic of Ireland and on their parents experiences of, and opinions on, the advisory and therapeutic recommendations arising directly from its findings. This study established that good inclusive policy relating to children with Dyspraxia/DCD is given statutory recognition in official Irish Government and Department of Education and Science documents. 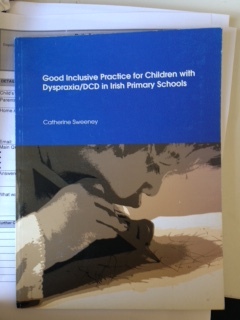 Analysis of these and relevant current international literature identified key elements of good inclusive practice for children with Dyspraxia/DCD in Irish Primary Schools. Random samples of parent members of the Dyspraxia/DCD Ireland and Resource and Learning Support Teacher Primary members of the Irish Learning Support Association were surveyed. This publication contains the results of the study.